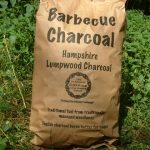 Welcome to the Hampshire Coppice Craftsmens Group website. The intention of this site is to promote the work of the group, as well as giving a voice to the people working in the woodlands of Hampshire. Group members take part in many demonstrations and shows throughout the year, demonstrating a wide range of traditional skills including hurdle, spar and walking stick making as well as pole lathe turning and charcoal burning. If you are a show organiser and are looking for something different at your show, please contact the group (using the contact page) with your details. Since its inception HCCG has been actively promoting coppicing and associated crafts within Hampshire.